Fear can be one of 2 things, a Godly fear or a worldly fear. 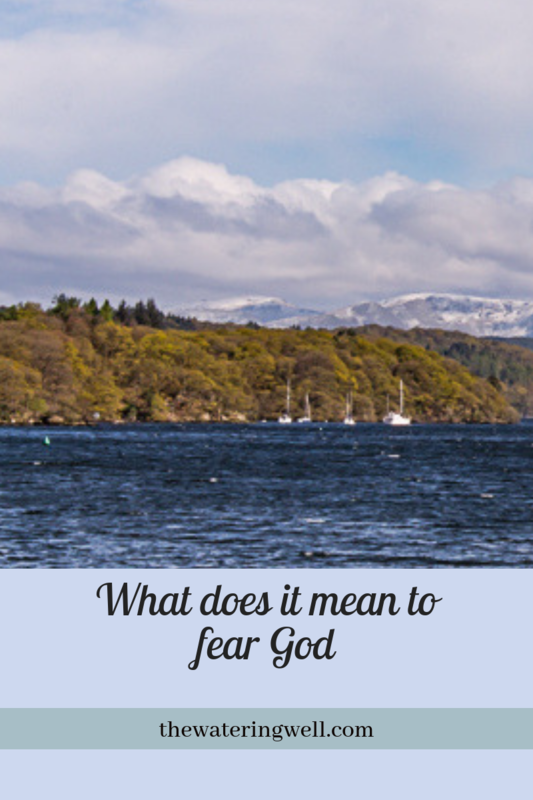 In the blog post on How to overcome fear in life, we looked at worldly fears, in this post we look at the fear of God. The church has become weakened by humankind’s need to please and fear of criticism. Rather than offend people, we are taught that we don’t really have to fear God, fear in the Bible only means we need to respect and revere Him. This is false. God says we must fear Him, we must tremble in His presence. At first, you may find it difficult to merge the idea of a loving God with one who is to be feared, but I will explain here what that looks like. The best way is to let the word of God speak for itself so I will refer to a number of scriptures. When earthquakes rock our earth and lava spews across roads, when storms destroy everything in their path, you had better believe that God is showing us His power. Is this somebody to be merely respected as you would a headmistress or your boss? No, this is the power of the mighty God who gets to decide if you live out eternity in heaven or in hell. This is the God we serve. Respect? I think that is an understatement. “But be sure to fear the Lord and serve him faithfully with all your heart; consider what great things he has done for you. : (1 Samuel 12:24) He performs miracles to demonstrate His power to us because if we don’t fear Him, how can we trust Him? When God spoke to Moses from within the burning bush in Exodus 3:1, Moses hid his face because he was afraid to look at God. God told him to take off his shoes as he was on Holy ground. Later in Exodus 33, God tells Moses He will cover him with his hand because Moses was not allowed to see God’s face. There are many examples of similar encounters in the Bible, where men have fallen to the ground in His presence. This is a God so powerful, we cannot even look upon His face and still live. 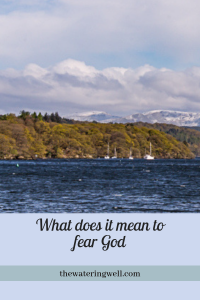 How can we love and fear God? The same way we love Superman, Rambo and big strong heroes who fight evil with good. This is a simplistic illustration, I know, but the concept is the same. It is difficult to love a person who you fear because they have used cruelty to harm you. You CAN love somebody who is strong and powerful and uses that power to protect and provide for you. I wouldn’t want to be His opposition, but as long as He is for us, we are guaranteed to win any battle. If God was weak we could do it all ourselves. We fear God to begin with, but that fear turns to love as we experience more of Him every day. It is easy to love Him for his compassion, tenderness, forgiveness and unfailing love for us. I will explain more of this further on. “Consider therefore the kindness and sternness of God: sternness to those who fell, but kindness to you, provided that you continue in His kindness.” (Rom 11:22) Appreciate both the kindness and the strict justice of God. Why the picture of an elephant in the middle of this post? Because they are probably one of the most terrifying animals and can literally upturn and destroy a car in minutes. Yet they are the most amazing, beautiful animals to watch. 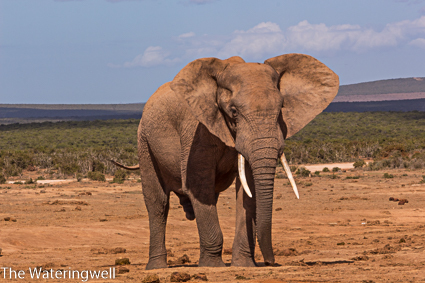 This photo was taken at a water hole in the Addo Elephant National Park, South Africa. We sat for about an hour watching him and his friends drinking and playing in the water. “He breaks off every branch in me that does not bear fruit, and prunes every branch that does bear fruit, so that it will be clean and bear more fruit.” (John 15:2) The breaking off is what we fear, but as we see here, it is to perfect us. One of the ways we fear God is to fear punishment. The Holy Spirit prompts us when we do wrong so that we may turn from doing wrong. This kind of Godly fear will taper off as we are perfected in his love. The command to fear God comes with a promise. To say you don’t fear Him is denying this inheritance. 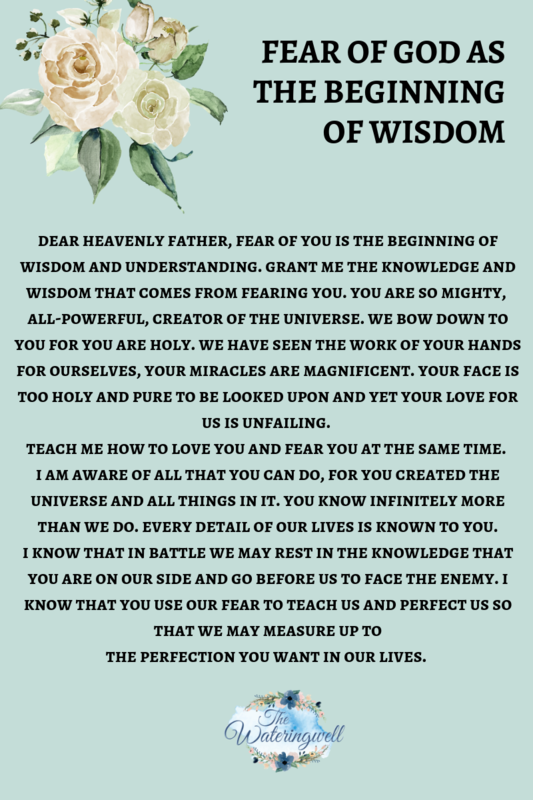 Why does God tell us to fear Him? What starts out as fear of God, causes us to obey His commands. If we do not obey, God disciplines out of love because His purpose for us is to reflect His image. 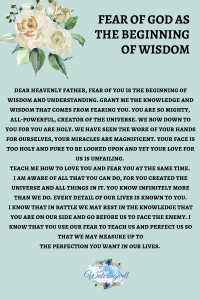 As we grow to realize this, our wisdom increases and we learn to understand and know the heart of the Father more acutely. Our love for Him grows and out of that, willing obedience culminating in perfect love. This is God’s will for us. In that place of perfect love, we are closest to Him. Faith and fear cannot co-exist in the world. As faith increases, fear subsides. God uses our fear to build our faith, but we have to trust enough to let go. Fear in the world would cause many of us to shrink away but fear for God draws us closer to Him. The Bible says it is our prime duty to fear Him and obey His commands. (Ecclesiastes 12:13) Fear Him and He will reveal His great love. “The Church needs to become a gloriously dangerous place where nothing is safe in God’s presence except us. Nothing–including our plans, our agendas, our priorities, our politics, our money, our security, our comfort, our possessions, our needs.”~ Acts 17:11.com website. Charles Spurgeon said we fear the world because it is closer to us, where God seems so far away. Yet He is not. The Holy Spirit is within us, you can’t get any closer than that. Trust and have faith in God and He will overcome your worldly fears. I have mentioned quite a few scriptures in this post and this is not all of them. Take time to read through them, then pray and meditate on them. If you would like more information on fear, preceptaustin.org has the most extensive amount of information I have ever seen on the subject. Visit their webpage and type “fear” into the search box.